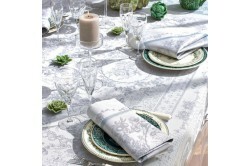 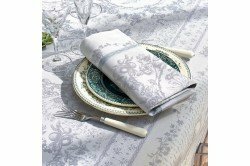 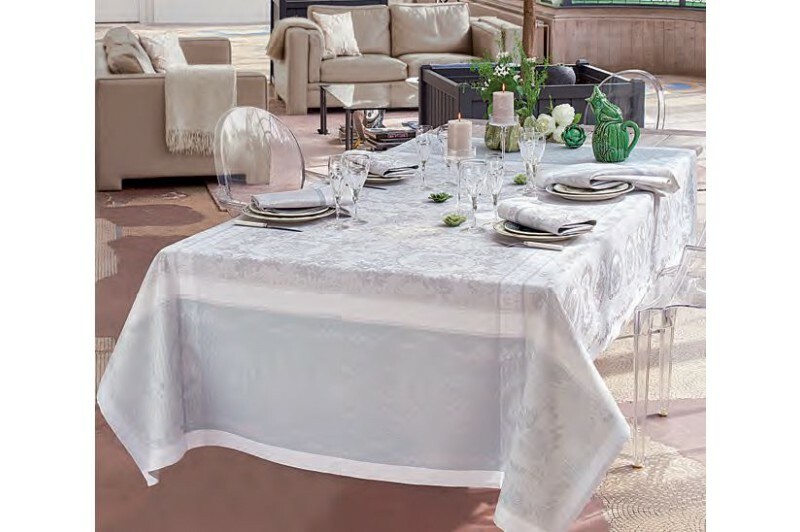 Floral themes in beautiful tones of silver grey, the shappy chic Lysandra luxury tablecloth and table linen collection by Garnier-Thiebaut is their latest romantic design. 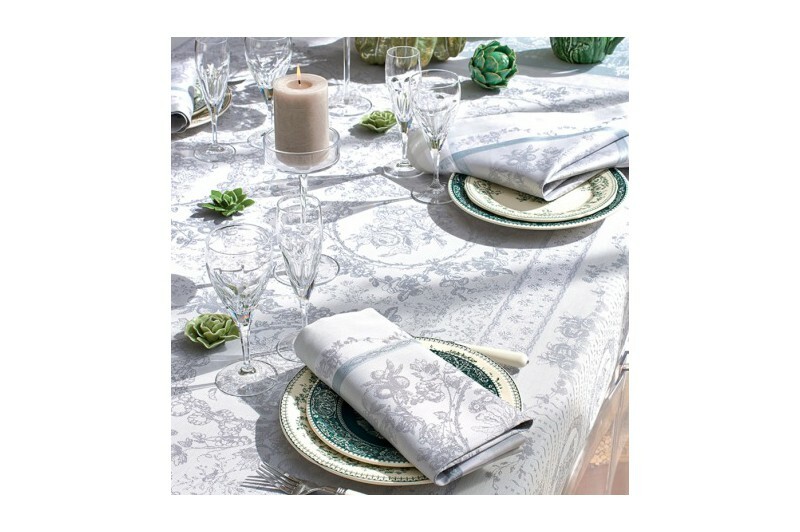 Perfect for special or formal occasions! 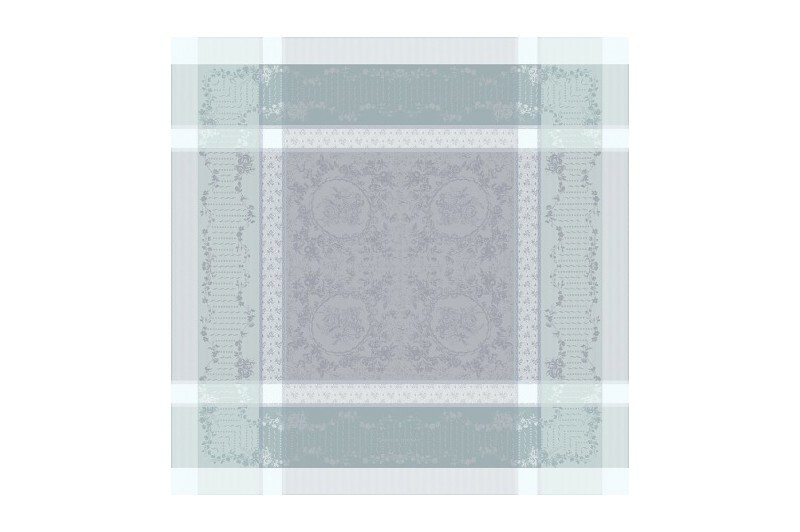 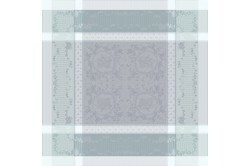 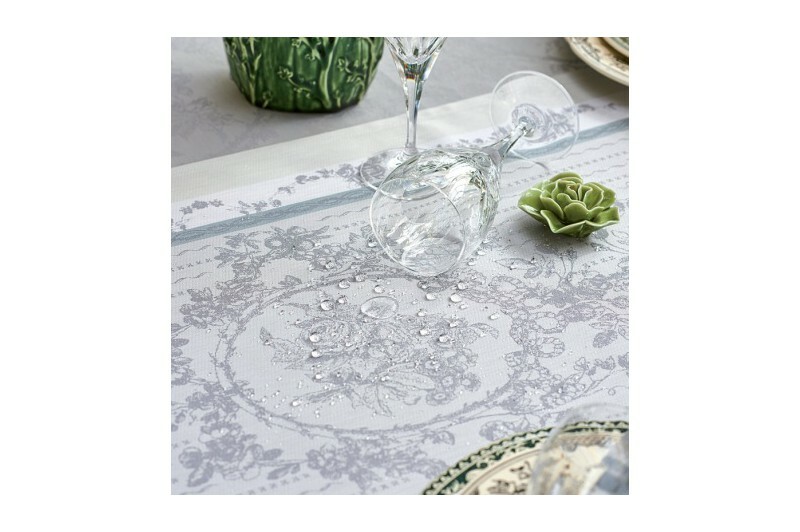 This new jacquard table linen collection is made of 100% premium cotton treated with Green Sweet stain-resistant finish for easy care and long life to the linens. 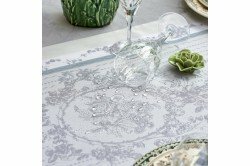 Finished with mitred corners, Lysandra table linen Collection includes matching placemats, napkins and table runners to create your finest French table.